The family activity holiday company, Activities Abroad, has seen winter holiday bookings rise by 101% (year-on-year) and cites the seemingly simple expedient of providing the perfect holiday for families searching for authentic Father Christmas experiences as being key to its success. (TRAVPR.COM) UK - August 22nd, 2016 - The family activity holiday company, Activities Abroad, has seen winter holiday bookings rise by 101% (year-on-year) and cites the seemingly simple expedient of providing the perfect holiday for families searching for authentic Father Christmas experiences as being key to its success. The increase in families seeking an authentic Christmas experience may be behind the company’s success – although ‘authentic’ may mean different things for each family. At home, the dramatic rise in the number of German Christmas markets held in the UK, cooking shows using old-fashioned recipes and dishes such as goose for the Christmas table and possibly even the surprise return of the Christmas jumper are all symptomatic of a desire to celebrate in a more ‘genuine’ or traditional way. Rather than waiting around for just a five-minute chat with Santa, Activities Abroad ensures its customers spend time with Father Christmas at his house - baking, telling stories and being looked after by the wonderful elves. The whole family will also enjoy a range of carefully-planned Lappish winter activities such as snowmobiling, sledding, wildlife visits, snow sculpting, snow-shoeing, kick-sledging, and husky or reindeer safaris. A Magical Search for Father Christmas - Kuusamo is known for its natural beauty and is characterised by fells, forests, lakes and rivers, all of which are laden with snow during the winter. The views from the top of the fells stretch across the winter wonderland, as far as the eye can see (in some cases, this is into Russia!). As well as spending time with Santa in his cabin, on this four-night adventure families will be able to take a husky safari, encounter reindeer, enjoy a snowmobile-pulled sled ride, get creative with snow sculpting, feed the winter animals alongside the elves and have fun sampling some snowshoeing and kick sledging. The holiday costs from £1,595 pp (two adults sharing a family room with one or two children) and includes flights (London), transfers, four nights’ full-board accommodation, all activities, cold-weather clothing for the duration of the stay plus qualified wilderness guides and instructors (not to mention elves and Father Christmas himself!). This four-night holiday to Harriniva, as well as the highlight of meeting Father Christmas, includes a range of activities such as cookie baking and crafts sessions alongside encounters with reindeer, the thrills of dog sledding on a 6km husky safari and a 20km snowmobile safari. Harriniva is also no stranger to the Northern Lights, so visitors may be lucky enough to enjoy front-row views of this spectacular phenomenon. The holiday cost from £735 pp includes transfers, four nights’ full-board accommodation, all activities, cold-weather clothing for the duration of the stay and qualified wilderness guides and instructors. Flights can be arranged with a travel expert. A seven-night exploration of Ranua in Finnish Lapland, with planned winter activities such as a private meeting with Father Christmas, snowmobiling and a woodland search for a Christmas tree to decorate – but also with free time to add in other activities as wished, such as snow shoeing, cross-country skiing, ice fishing, a horse safari, reindeer sleigh rides and Northern Lights hunts. The Ranua Wildlife Park gives you the chance to get close to local Arctic fauna such as polar bears, moose, golden eagles, Arctic foxes, otters, lynx, elk and deer. The holiday costs from £1,855 pp and includes flights (London), transfers, seven nights’ full-board accommodation, planned activities, cold-weather clothing for the duration of the stay and qualified wilderness guides and instructors. Much has been said about the value of sterling following the EU Referendum - especially about rising holiday costs. The good news for Activities Abroad clients is that the company hedged well in advance and has enough currency to ensure that it does not need to apply immediate price increases. Essentially, until its currency stocks are exhausted, the cost of its family holidays will remain unchanged in the countries to which it sends the majority of its clients. 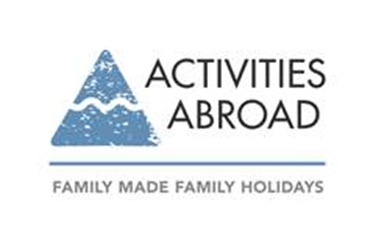 To speak to an expert for more information or to book an authentic Christmas family holiday, contact Activities Abroad on 01670 789 991 (www.activitiesabroad.com). Note to editors: Part of The Artisan Travel Company, award-winning Activities Abroad specialises in family travel and experiences for all the family to enjoy together. It is a sister company to hand-crafted holiday experts Artisan Traveland Northern Lights specialists The Aurora Zone. Press: For press enquiries, to arrange an interview with Managing Director, Ali McLean, or for photography, please contact Julia Farish or Paul Bondsfield at Travel PR on 020 8891 4440 or email j.farish@travelpr.co.uk or p.bondsfield@travelpr.co.uk.